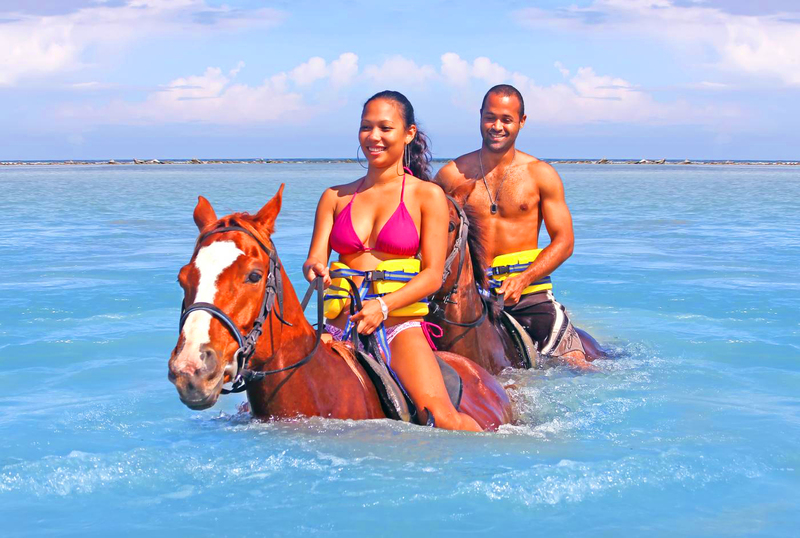 There’s nothing that says romance more than riding side by side on horseback through the Caribbean Sea while holding hands. If you’re staying at Melia Braco or a beautiful villa at Silver Sands, Braco is close by to provide this romantic fantasy. 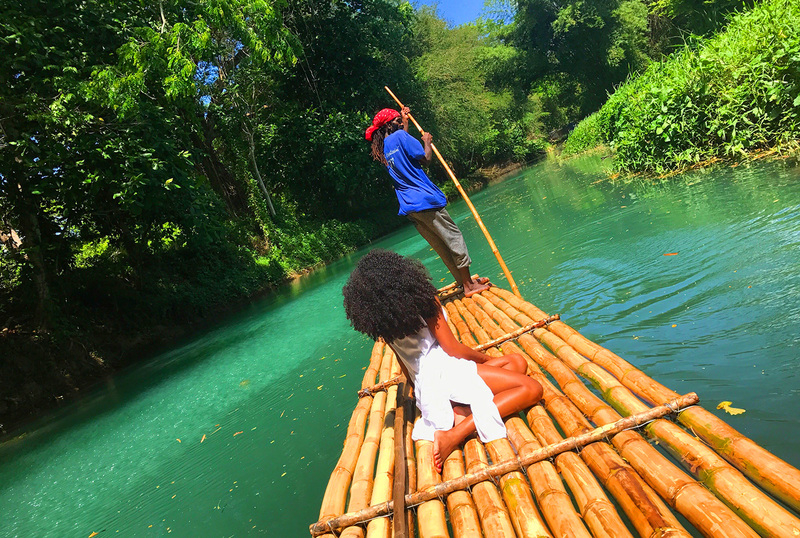 Experience being steered lazily down the picturesque Martha Brae River on a bamboo raft for two surrounded by lush tropical paradise and the relaxing sounds of the animal kingdom fluttering above and swimming down below. 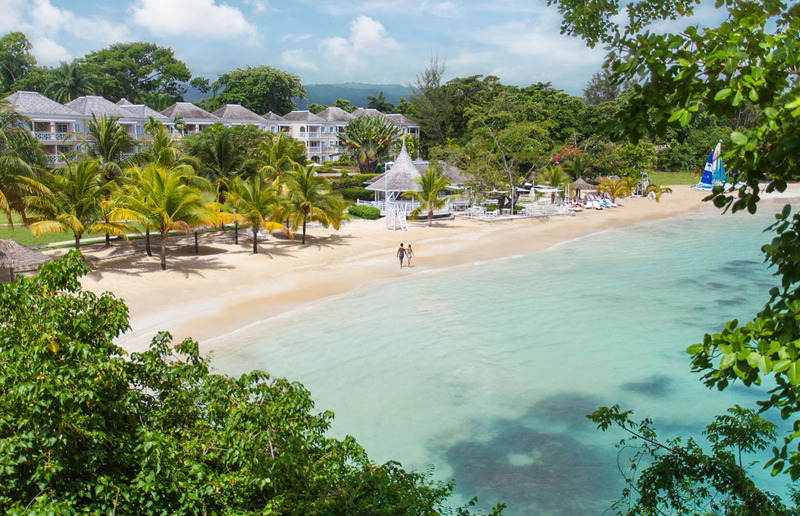 Negril offers up seven miles of powdery white sand and turquoise waters brimming with Jamaican culture. 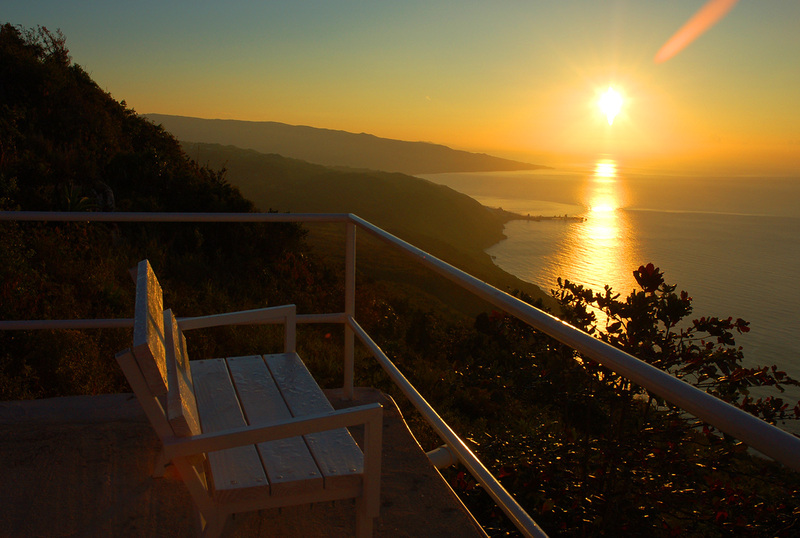 It’s the perfect spot to stroll along and watch the sunset unfold as you’ve never seen it before. 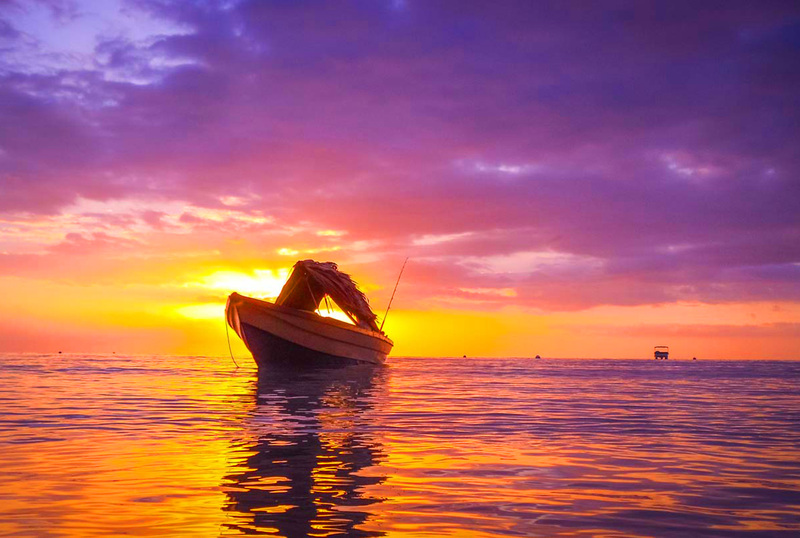 Even if you aren’t staying in Negril, take a day tour and hang out here long enough to experience the sunset, it will be worth it. 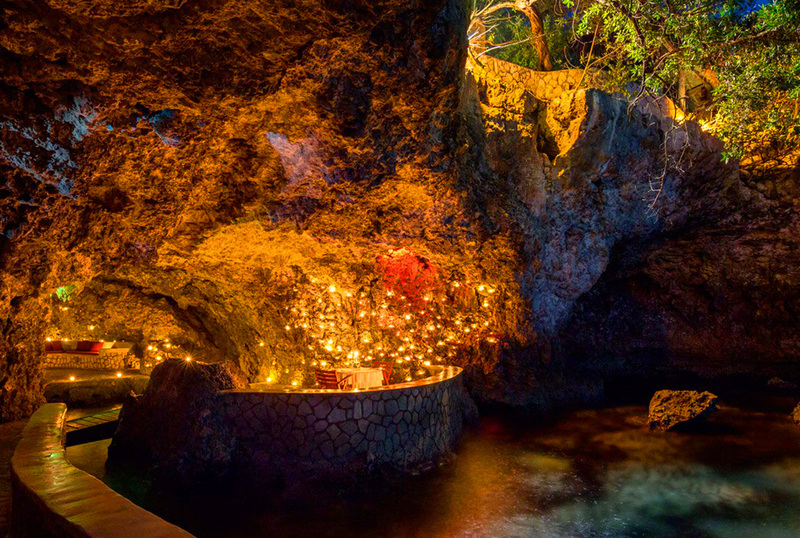 This restaurant offers dining inside a cave by the sea and is lit up by hundreds of candles setting the mood for a magical night. Legend has it that two slaves plunged to their death from cliffs high above upon facing the threat of being separated. The spectacular views here stretch out for miles until the sea meets the sky. Get Here: From Treasure Beach, head east to Santa Cruz along Pedro Plains Rd, to the intersection at Pedro Cross. Turn right on Flagaman’s Main Rd. When you get to Seaview, continue along the same road, now called Southfield Main Road which becomes Southfield Kinkaid Rd. This then becomes Lovers Leap Rd. Follow the Rd. Past Lovers Leap Guest House. The actual spot will be on your right just after the lighthouse. Nothing bonds you closer than experiencing an adrenaline rush together. Imagine flying through the air, zipping through tropical rainforests at the sensational Mystic Mountain. Cool off together with a slide into the pool with views of Ocho Rios and the Caribbean Sea down below. There’s lots more to do at Dolphin Cove other than swimming with dolphins. Take a walk through their animal trail where you’ll have a chance to feed the Love Budgies who stick to one partner for their entire lives. 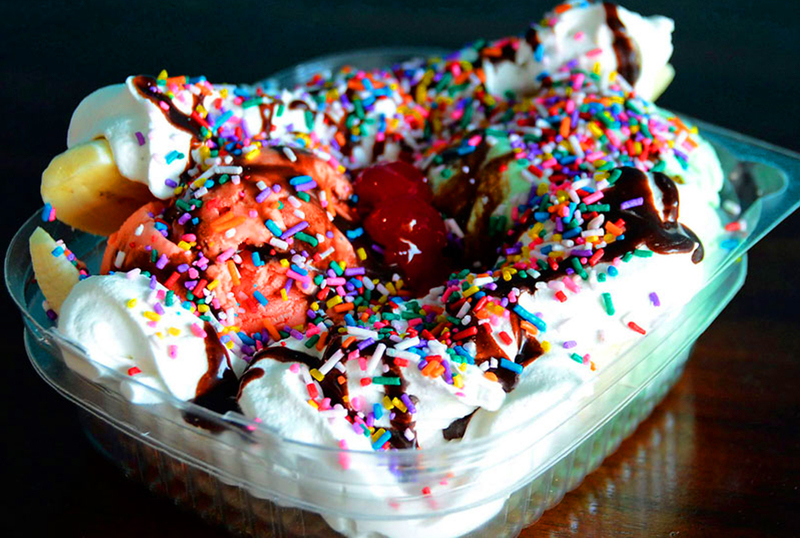 It makes the lists every year for Best Ice-Cream Parlour. Discover each other’s favourite flavour, then grab a double scoop cone and walk the historic grounds of Devon House in Kingston. Dare to go there? Book a day pass at Hedonism in Negril or Couples or stay for longer and enjoy a vacation in the buff. Check off this bucket list item together and leave with stories for the grandkids about making it to the top of this world famous attraction hand in hand.